OVER 3200 CLUBS - 5600 ALBUMS - 95000 PHOTOS ON SITE! Old Carthusians win the 100th AFA Senior Cup Final for the first time, beating their opponents Old Meadonians after extra time. 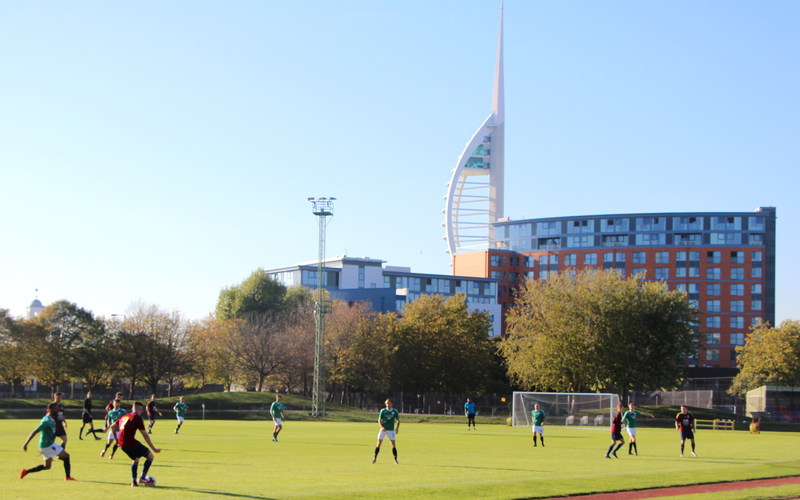 Steve's cracking photo depicts the beautiful Victorian buildings which provide a fantastic backdrop to the action. Surely this has to be one of the most lavish football venues anywhere in the country? 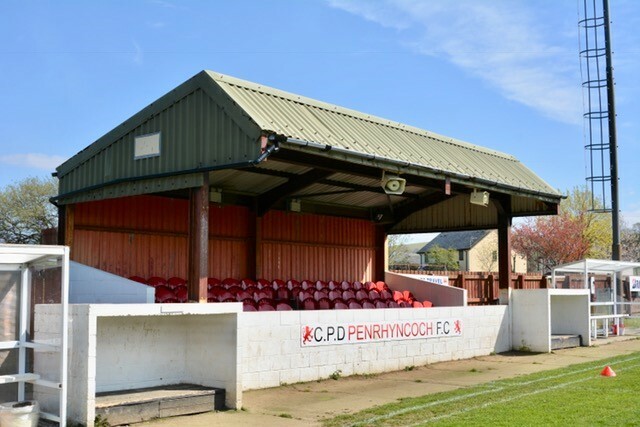 Richard brings us some top ground photos on a trip to Cae Baker, one of the most idyllic settings in Welsh non-league football. 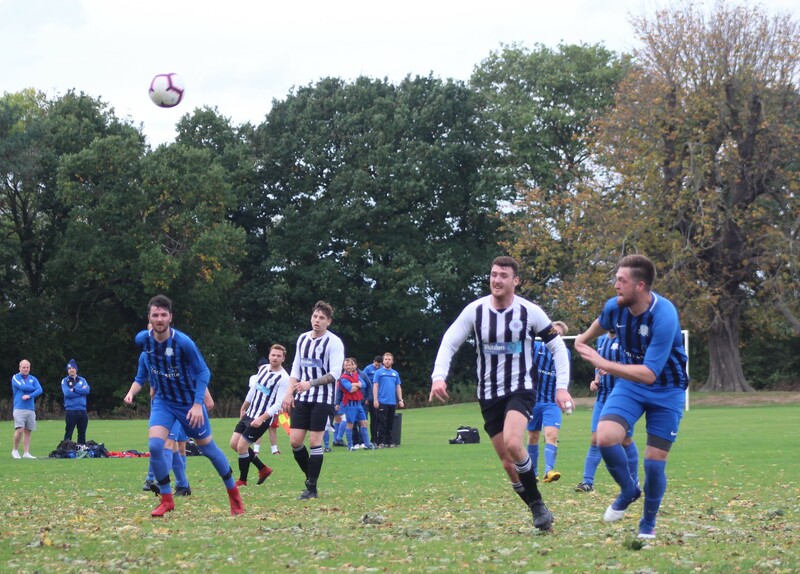 Gary captures the very best matchday action photos in this top of the table Welsh Alliance fixture played at the Bob Parry Field. Steve heads to the brand new Mansfield Town FC Academy at Pleasely. With a mini stand this has to be one of the best 4G facilities in the league. Praying for a decent Game! This lovely photo taken during late autumn depicts a match played on the local recreation ground. 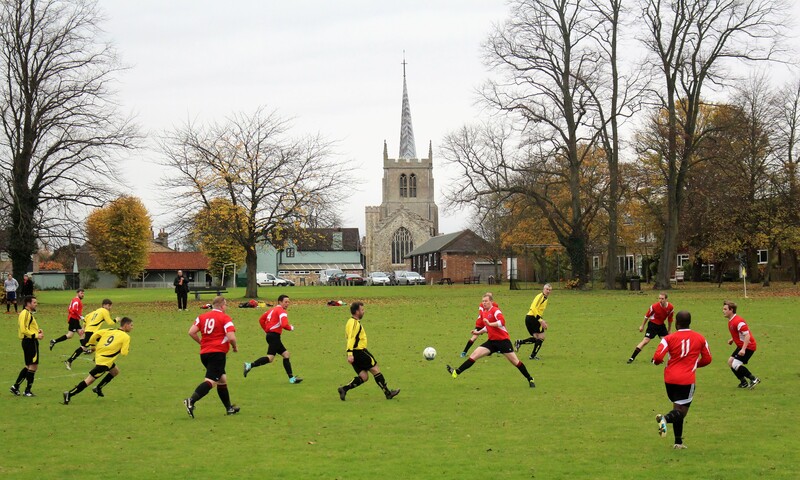 There is plenty to fill the frame here with the beautiful Church of St Mary at the centre of a perfect back-drop which dominates the action on the pitch. For more photos click here. 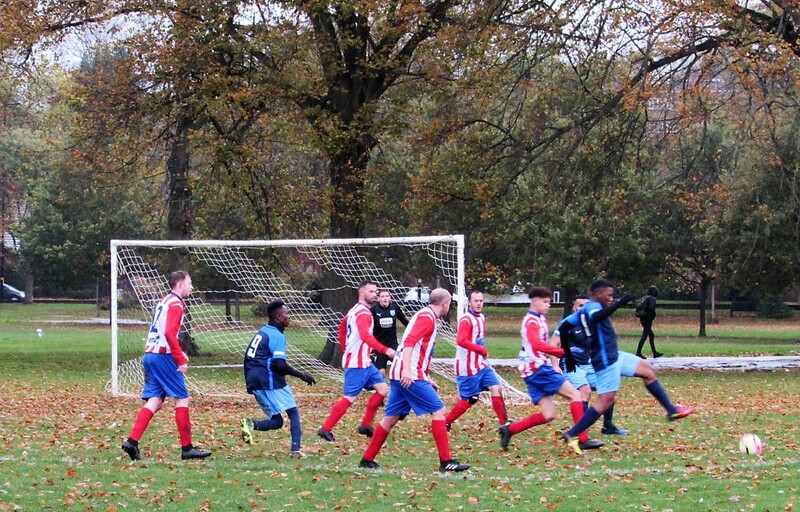 For more stunning pictures featuring church and spire backdrops in local football don't miss our FGIF Special Spire-Scapes album. 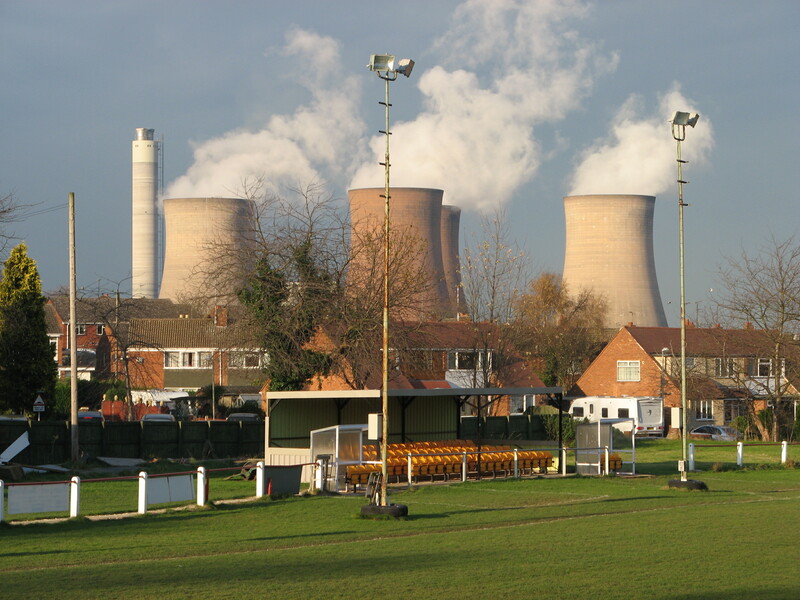 View the stunning ground setting dominated by the vast chimneys from neighbouring Rugeley. 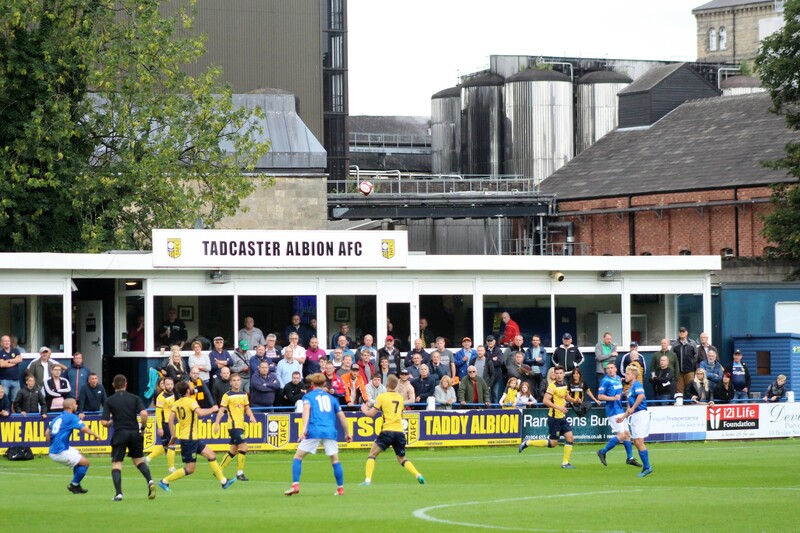 Tadcaster Albion FC The semi-professional game. ace Ings Lane ground in Tadcaster. miss the beautiful setting at the Howden School & Tech College home to this Humber Premier League side. Check out the best of Gary's Panos! Our star snapper casts his wide-angle lens over the Victory Sports ground for a Wessex Football League game. 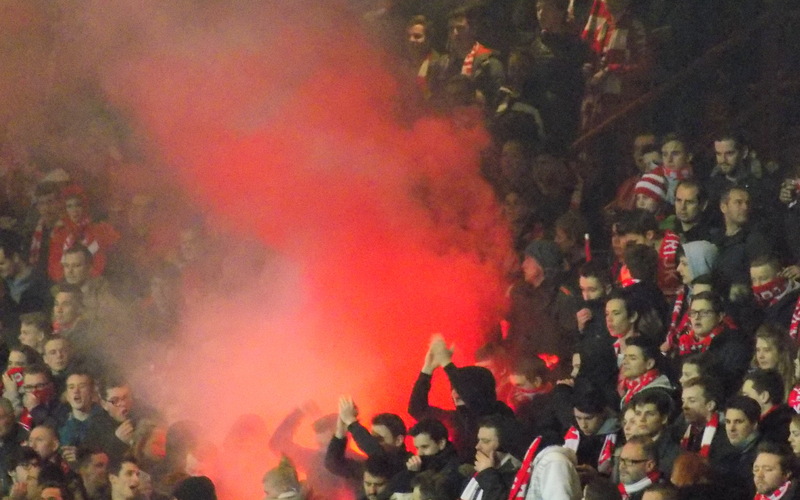 Flares plenty to see here! The Guldensporen Stadion built in 1947 is home to this Belgian side. 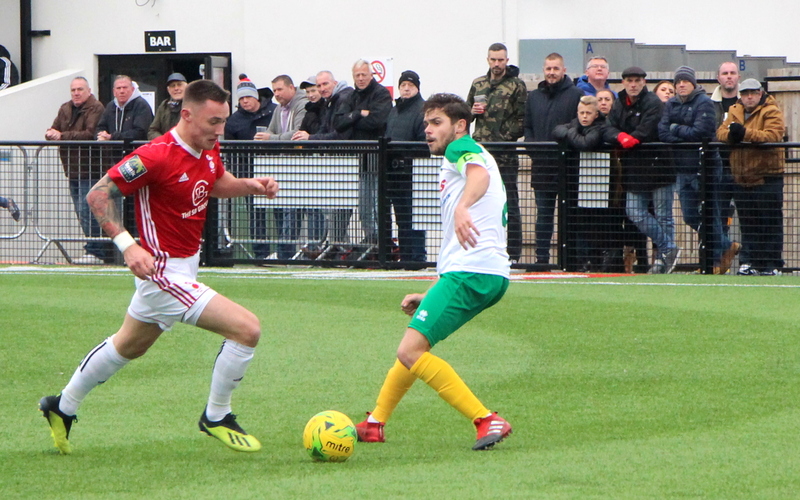 Don't miss Gary's pictures from 2017.
exciting FA Trophy 1Q round tie played on the 4G at Larges Lane in October. The game finally ends 2-2.
leafy Birmingham suburbs for his fix. But can you spot a more famous sporting venue hidden close by? An historical icon. 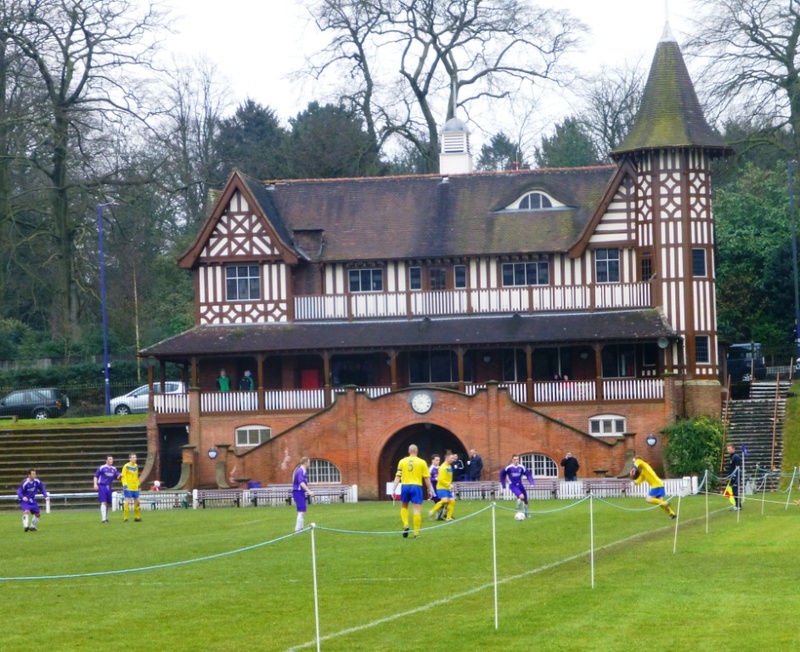 This terrific photo shows the beautiful ornate pavilion at the Cadburys Recreation Ground in Bournville. Built in 1902 the building was part of the owners legacy to provide sports facilities for its employees working at the neighbouring chocolate factory. 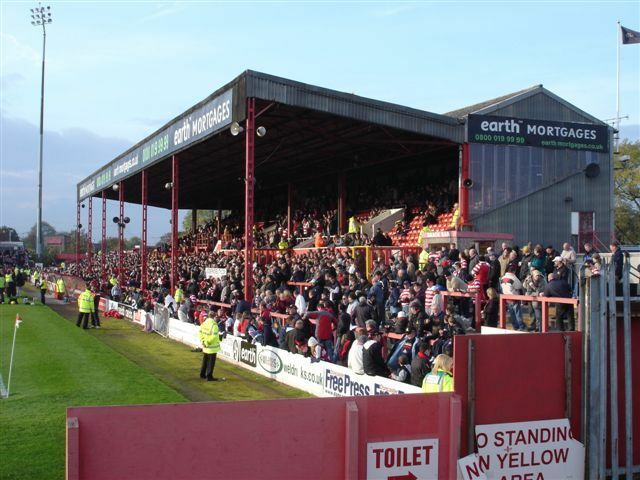 Unchanged today, this is a 'must see' ground. View the album.